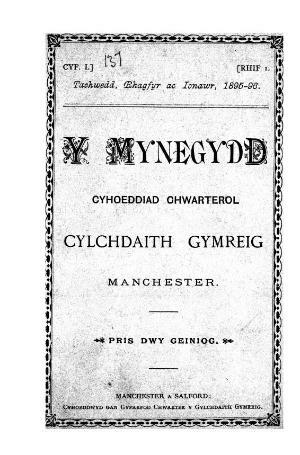 The religious periodical of the Manchester Welsh Wesleyan Methodist circuit. The periodical's main contents were religious articles and news from the circuit. Originally a quarterly publication from November 1943 onwards it was published irregularly. Amongst the periodical's editors were Thomas Jones Humphreys (1841-1934), David Owen Jones (1856-1903) and Edward Tegla Davies (1880-1967).